Why do some clocks have IV on them and others have IIII? 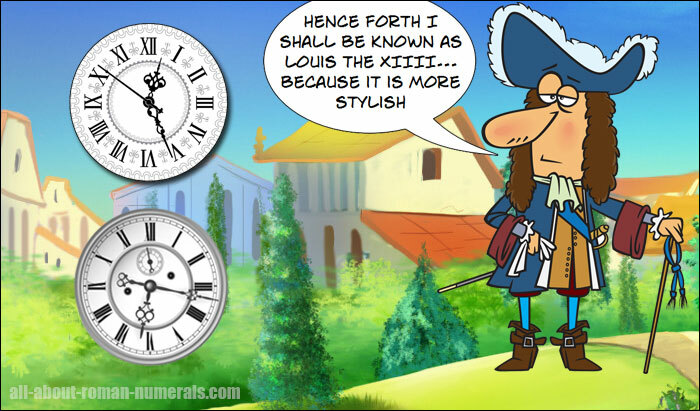 One theory is the French king Louis XIV (1638-1715) is said to have preferred IIII over IV on clock faces. As a result of this he ordered all the clock makers in France to use only IIII on clocks. We still see the results of this decision today as some clocks have IIII on them & others have IV. On another note, the numerals used on a clock face don’t effect your ability to read a clock. Once you learn the place of the numbers you tell time by using the shapes the hands make & prior knowledge.